When you think about mistakes that dog owners make, you automatically think that the mistakes are being made by first time dog owners. This is not always true. First time dog owners are just learning and trying to figure things out as they go along, but seasoned dog owners are making mistakes as well. Find out in this article the top ten mistakes dog owners make that you need to avoid. I myself am a first time dog owner, and even after doing my research and getting prepared for dog ownership, I have found myself making mistakes along the way. Owning a dog is a huge responsibility and it takes a lot of work and patience. You are never really prepared for what comes your way, every dog is different and there are challenges and unpredictable moments to face. The following is a list of the top ten mistakes made by dog owners, and I am sure there are many more. Many people simply choose a dog or puppy that looks cute and adorable, and don’t realize what the dog will actually be like. A cute dog or puppy comes with a personality and exercise needs, that need to be matched up with your lifestyle. For instance, if you are an active person who likes to run/jog or go for long hikes, then you will want a breed that is highly active, that has a lot of exercise requirements. Someone who is only home for a few hours a day will not be a good match for a breed like a Husky, that needs to run a few miles a day. A smart dog owner will do their research before, and will know everything about a certain breed before deciding if that is the right breed. If you are looking to add a dog to your family and have small children, you need to make sure that the dog will get along well with kids. A person who has allergies will not do well with a dog that sheds a lot, and will want to look for a hypo-allergenic breed. It is very important to socialize a puppy in order for the puppy to grow up to be a friendly dog. When you get a puppy usually at 8 weeks, they have already had some socialization, and that socialization window ends at around 12-16 weeks of age. It is extremely important to allow that puppy to experience as many positive things as possible, such as meeting other dogs (large and small), people (old and young, in wheelchairs, with umbrellas etc. ), and to experience loud noises (cars and trucks driving by, vacuum cleaners, etc. ), this will all help to ensure a friendly dog. Not socializing your dog and not letting them experience new sights and sounds will make them fearful and often times they will react aggressively. Training your puppy should start the very first day you bring them home. It is important to be consistent with training and always use positive reinforcement. Every dog should know the basic training commands, such as sit, stay, come, down, leave it, and no. Basic training ensures your dog will be well-behaved and safe. If you have a dog that lacks training, remember that it is never too late to teach an old dog new tricks. A well-trained and well-socialized dog will be more welcome by your friends and family and you will be able to take your dog to public places without having to worry about how your dog will react. Every dog needs some form of exercise and mental stimulation. Some breeds do require more exercise than others, but most dogs need more than just a simple walk, or to be let out in the yard. Often times owners just let their dogs go out in the yard by themselves and think that is enough for them, but this is not true. Dogs need to be walked and they enjoy getting outdoors and smelling stuff, it is their way of exploring. Dogs need mental stimulation as well, and this can be done by playing games with them, doing obedience training, or taking your dog to an agility course. If you work all day, instead of leaving your dog home alone you could hire a dog walker, or take your dog to a doggie daycare. Your dog will be happy to be walked and to be able to play with other dogs. By not providing your dog with enough exercise and mental stimulation on a daily basis, your dog will become hyper active, develop unwanted behavior problems, such as chewing, excessive barking and become restless and bored. Not to mention your dog will not be healthy. Remember that a proper exercised dog, both mentally and physically will be calmer, happier and more well-behaved. As the saying goes, “a tired dog is a good dog”. Before you bring home your new puppy or dog you need to first establish some rules and boundaries that everyone in your household will follow. You need to decide what the dog will be allowed to do and what it will not be allowed to do. Will the dog be allowed on the furniture? When will the dog be fed? Who will train and exercise the dog? All the house rules need to be set and agreed upon by everyone involved in the dogs life. When everyone follows the same rules it leads to greater success. If a member of your household allows the dog on the furniture, and then you punish the dog for being on the furniture the dog will be very confused and will not know who to listen to. You need to be consistent with the rules, do not make a rule one week and then let your dog break that rule the next week. Dogs are pack animals and naturally look to a pack leader to feel safe and secure. When you bring your new puppy/dog home you need to establish yourself as the pack leader and show them what is right and wrong. If you fail to establish yourself as the leader, your dog will assume that he is the alpha and will run the show doing whatever he wants and will ignore your commands. Dogs are creatures of habit, they are happier and feel more secure when they are in a consistent environment. It is important to establish a routine with your dog by always feeding, walking, and training him at the same time each day. Always feed your dog the best food possible. Not all dog food is created equal. You really need to read the labels and look at the ingredients and do your research. There are many breed specific dog foods, and dog foods for certain stages in your dogs life, such as puppy, adult and senior. Many dog foods are for certain health conditions as well, for instance if your dog has allergies there are limited ingredient foods etc. It is important to discuss the options with your vet to determine the best food for your dog. So many dogs are overweight, and this is not the dogs fault it is the owners. 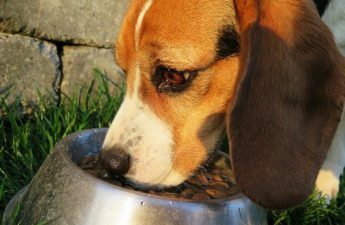 Overfeeding your dog will lead to many health problems and can shorten your dogs life. So many owners feed their dog human food from the table, they find themselves not being able to resist their dogs sad eyes staring at them while they eat, and they just can’t say no. I have made this mistake myself in the beginning, and my dog became slightly overweight and had developed allergies. It has since been a struggle to get her down to her ideal weight, and after about 5 months she is at a healthy weight. I will never make that mistake again. So many dog owners make the mistake of not taking their dog to the vet for a regular routine check up. They will often wait to go to the vet when their dog is sick or something is wrong. They feel that their dog is healthy and don’t want to stress their dog out or inconvenience themselves by going to the vet. Also, they want to avoid the costly expense. This is a huge mistake. You are not doing your dog any favors by not going to the vet. Your vet is a key to keeping your dog healthy, a routine check will allow your vet to detect any small health issues before they become bigger issues, and bigger expenses. So many times our dogs will not show any signs of illness, until the pain becomes unbearable. Often times a vet will be able to notice something that you may have missed. It is best to go to the vet as soon as you notice that something is not right with your dog, don’t wait until the issue worsens. Owning a dog costs a lot of money. If you are bringing a new puppy home, the first year of your puppy’s life is the most expensive. You have to consider all the supplies that you need, such as a crate, bedding, toys, food, leashes, and extras such as training and obedience classes. The vet bills in the first year are expensive, there will be puppy shots, and spaying and neutering if you decide on that. You have to consider emergency expenses as well. If your dog unexpectedly gets sick and you need to go to an emergency vet after hours, emergency vets will charge more than a regular vet. Dogs are much like children and can suddenly become sick and need veterinary attention. It is always best to keep a budget for emergency expenses. Often times dog owners assume that their dog will grow out of their bad behaviors. For instance if you have a lab puppy that is jumping up on people, and you don’t do anything to correct it, thinking it is just a puppy and it will grow out of it. This puppy will grow up to be a big dog jumping up on people, and because you allowed this bad behavior it will be more difficult to correct. Another example is your puppy digging in the backyard, or barking at night, if you are not doing anything to correct the behavior now, your dog will not know to stop and will continue this behavior until you do something about it. So many dogs run away and get lost, and end up at shelters without ever being found. It is very important to always know where your dog is, and to have a collar and ID tag that is updated with your current address and phone number on your dog at all times. You can take the extra step and get your dog microchipped, helping you to become reunited with your dog if lost. Dogs can run away for several reasons, such as fear, loud noises such as fireworks, hunting instincts, being in heat, or exploring, and it is important to be a responsible dog owner by keeping your dog supervised, on leash, and having a fenced yard. Some dogs require more grooming than others, but it is important to meet your dogs grooming needs. All dogs need to be brushed, bathed, have their ears cleaned and nails trimmed. It is important for their overall well-being. If you have a dog that sheds a lot, for instance a Golden Retriever, then you can minimize some of the shedding by brushing your dog regularly. Certain breeds require their coats to be trimmed regularly to keep them looking their best. Some grooming can easily be done by you at home, and will help to strengthen the bond with your dog, and you may also wish to take your dog to a professional groomer. Meeting your dogs grooming requirements will not only keep your dog healthy and smelling and feeling great, but it will keep your house cleaner and smelling good as well. After reading this article I hope that you have become aware of the top ten mistakes that dog owners make, and will learn to avoid them. Dog ownership is one of the most rewarding experiences, and it certainly comes with its challenges. I have found myself making some mistakes, and I have learned from them. Remember that we are all human and mistakes will be made, but if you have read this article you will have a greater chance at succeeding. Have you made any of the above mentioned mistakes? I would love to hear from you, please leave me a comment below. Thank you. This is a good list of issues for a potential dog owner to be aware of. Too many dogs wind up either at the shelter or abandonned somewhere because the owners didn’t inform themselves of the effort and expense that is involved in owning a dog. I’d add another mistake onto the list that too many dog owners make, and that’s having more dogs than they can reasonably look after. A lot of dogs suffer by having owners who hoard animals. Thank you for bringing another common dog owner mistake to my attention. Yes, some people often own more dogs than they can take care of. Dogs really do need human interaction and affection, and some breeds crave it more than others. When you see owners with multiple dogs who are not taken care of, it is just sad and wrong. Wow the collar and ID Tag should be a must to avoid any risks related to losing your dog. It’s also true that you need to be consistent. CONSISTENCY seems to be king in all works of life, because you cannot do without it. And exercises to stimulate your dogs, yet another great tip I had never thought about. This post was loaded with great tips on raising dogs. And the one you were carrying on your post, such an adorable cutie. Thanks for sharing this ton of information. I learned a lot. Thank you, yes being consistent is the key to success. I am so glad that you learned some valuable information from this post. So many people think that exercise is enough for a dog, and often overlook the fact that dogs need mental stimulation as well. Thanks for your comment. 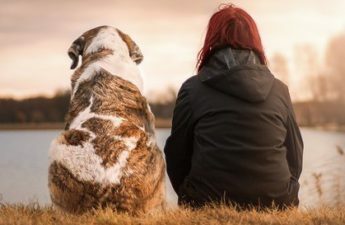 Fantastic article that I think should be a requirement for every new dog owner to read about prior to purchasing a dog!! So many people buy dogs because they think they’re cute or see them on tv (husky breeds – Game of Thrones) and don’t realize the amount of work that it takes to train them and care for them properly – which leads them to dropping them off at the pound because they can’t handle the dog anymore. Expenses in the first year are a lot, but they can also be a lot down the road too. My dog is 10 now, and in the last year, I have spent over $3000 on vet bills and medication for her. The end years need to be considered as well. Hi Nicki, you really raise some great points. When dogs get older, those expenses should be considered as well, often times owners will get rid of a dog just because of age and health issues. This is really upsetting to me, and I just can’t imagine how someone can do that. A dog is a huge responsibility, and becomes part of your family, I agree there should be a test required for owning a dog. Thanks for your comment. I’ve made quite a few of these mistakes with previous dogs. We now have two rescue dogs that are absolutely wonderful and we really focused on training them to be well-behaved. I have to admit, I still feed them bits of chicken and beef while I’m cooking, as well as tomato ends (they are obsessed with them), but overall, we’ve done well. I even managed to teach my Rotteiler/Shepherd/Something cross to leave the chickens alone! He just “helps” by pouncing near them so they run back to the coop if they get out. Thanks for commenting. I believe all dog owners make some mistakes along the way, I have myself, but we all learn from them. It sounds like you are doing well with your 2 rescue dogs, and thats great that they are able to eat chicken and beef without any issues. My dog Ellie is allergic to both chicken and beef. I’ve never owned a dog (well, had one when I was a kid but didn’t really take of it much – my parents did) but these are good things to keep in mind. I think a big thing here is the costs involved of having a dog. We don’t realize how much having a dog actually costs. With grooming, vet vists, food and amount of attention it needs daily, it is quite expensive to own a dog. Obviously some cities more than others. One thing I’ve found in big cities is that they find it hard to walk the dogs. I mean there just aren’t beautiful parks or walking areas where they can walk dogs. In these cases they usually walk their dogs in their treadmill (which is hilarious). Haha, wonder if this affects the dog in any way. Wow, you raise a good point of owning a dog in the city, and the fact that people walk their dogs on treadmills. I have never heard of that, thats crazy. I would certainly say that not taking your dog outside for walks and fresh air, is not good for the dog, and I am hoping you are joking. Such a good example of people making mistakes with their dogs, not knowing their surroundings and not having their dogs best interests, and basic needs in mind. Hello Jenny, I really like this post. I think you hit the mistakes owners make with their dogs right on the head. I have made countless errors with my dog such as ignoring behaviour issues and sometimes skipping regular vet visits. For me I regret not taking such issues serious because it nearly killed my dog. My biggest advice is people should take your advice serious and take massive action. Being a dog owner is hard work, and a lot of times it is trial and error. I wrote this article to make people aware of the top mistakes that dog owners make, and that these mistakes can have serious outcomes. In your case you nearly lost your dog. I hope people reading this will be aware of the mistakes and avoid making them. Thank you for your comment Kuu. Excellent article, I found it fascinating! The mistakes you have listed in the article are really familiar to me. I have two big dogs, and the problem is that they attack other dogs when we go for a walk. I always have to be accompanied by a family member. Otherwise, it’s impossible alone. I really need to take them to a dog trainer because we all suffer from it. Anyway, thank you for the tips! Hi Daniella, thanks for your comment. First and foremost is being patient and calm with your 2 big dogs, remember that dogs will sense your reactions or emotions and can react based on them. If you are nervous or scared they will sense that and react that way as well, if you are calm they will display a calm energy. You can easily train your 2 dogs at home, keep training sessions short 10-15 minutes a day, and always use positive reinforcement. Check out my article on Basic Puppy Commands – Every Dog Should Know. Hope this helps you out, all the best to you and your 2 dogs.